Today the Newport Beach Film Festival kicks off its Irish Spotlight. 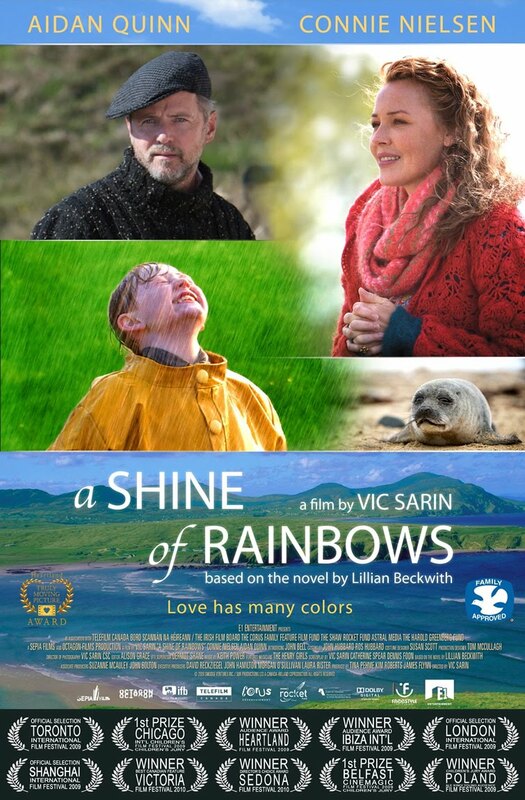 As a huge fan of Irish films, I was interested to learn that t first film to be screened is "A Shine of Rainbows" starring Aidan Quinn and Connie Nielson. Based on a novel by Lillian Beckwith, the film tells the story of an orphan whose life is transformed by an extraordinary woman who teaches him to conquer grief and discover magic in nature and himself. Other films include "Ondine", starring Colin Farrell and "Atlantic", directed by Conor Ferguson and starring Liam Cunningham. Although I haven't heard much about this film or read the book, I'm excited to see that it is getting coverage as one of the 400 films being screened at the Newport Beach Film Festival. Now in its 11th year, the Newport Beach Film Festival is one of the leading film festivals in the United States. After checking out the film, don't forget to stop by Muldoon's Irish Pub for an Irish celebration filled with food, music, and craic. If you're in Southern California, don't miss this special event. Tickets to the screening are $12.00 and $20.00 if you choose (and you should) to attend the party afterwards. For more information about the Newport Beach Film Festival, visit their website.